Serving Edmonton and the surrounding area, from lawn maintenance, trees and shrubs, rough or final grading, fertilization and aeration Westfall Exteriors is the landscaping Edmonton service that provides everything you need – on time, on budget, convenient to you. 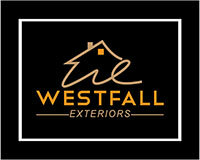 Call Westfall Exteriors today to receive a free, no-obligation, on-site estimate at your convenience. Or schedule and appointment for any of our Edmonton landscaping services.